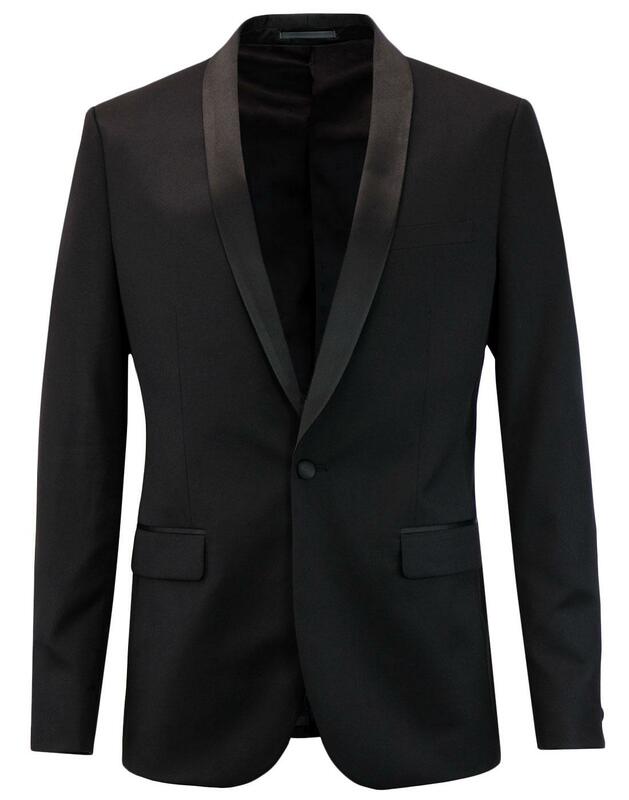 Farah 'Sandfield' tailored shawl collar dinner jacket in classic black. The fab Retro satin shawl collar evokes that traditional tuxedo jacket vibe, ensuring an air of sophistication. 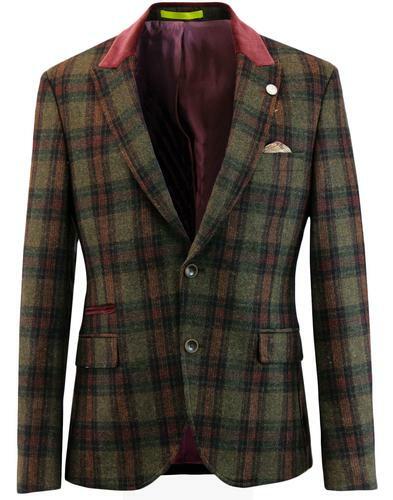 Perfect as an evening dinner jacket and for special occasions, this Farah suit blazer features two flap side pockets, left side breast pocket and classic one covered button single breasted fastening. 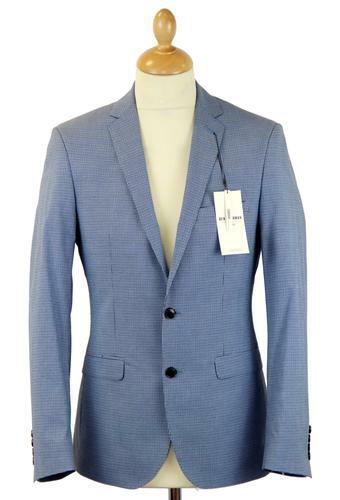 The finishing touches are the subtle Farah signature lining and single covered button cuff detail. 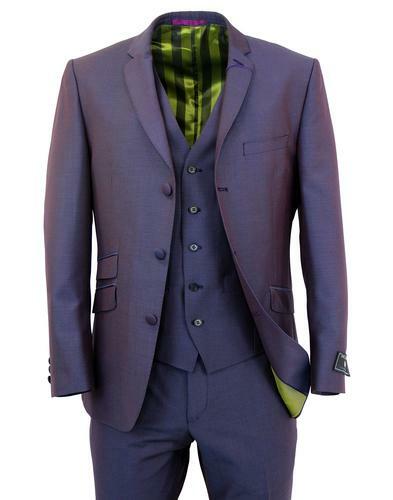 You can team this Farah shawl collar dinner jacket with the matching double breasted waistcoat and slim leg trousers to create an awesome 3 piece dinner suit. - Farah 'Sandfield' men's retro shawl collar dinner jacket in black. _ Covered button to cuff. 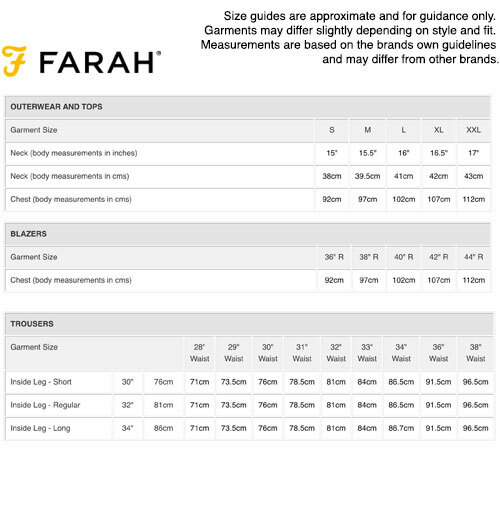 - Farah tonal signature lining in black. - Centre vent to back. - SKU: F4JF70J9 Sandfield Shawl Collar Dinner Suit. Composition: 76% polyester, 24% viscose. Body and sleeve lining: 100% polyester.